Happy Animal Family themed address labels feature four animal family illustrations including adorable cow, pig, pug, and bear families posing for a family portrait. 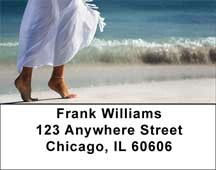 Save time with self-adhesive address labels, which make addressing envelopes easy. Family Labels- Life can be a "day at the beach" with these four personal label designs. The beautiful photographs will remind people to slow down and spend time with family. Feel the tranquility of these images each time you open your letters. Family Checks- Life can be a "day at the beach" with these four personal check designs. The beautiful photographs will remind people to slow down and spend time with family. Feel the tranquility of these images each time you open your checkbook.